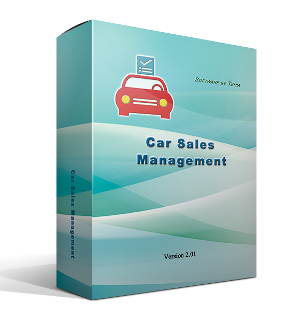 “Car Sales Management” is designed to automate accounting and control of sales of cars and any other vehicles. The use of this software allows you to save time and energy when drafting documents, as well as reduce costs and increase profits of your business. The application is easy to use through simple and user-friendly interface. 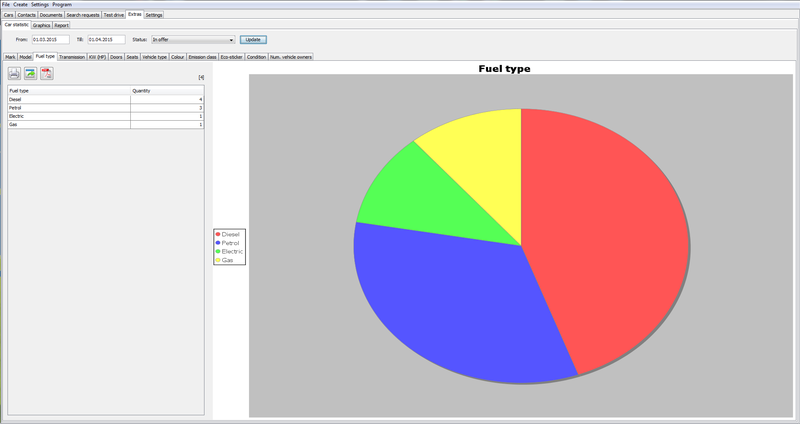 The main application window represents a log of all available or sold vehicles. The list can be easily filtered to quickly search for desired cars according to their parameters. 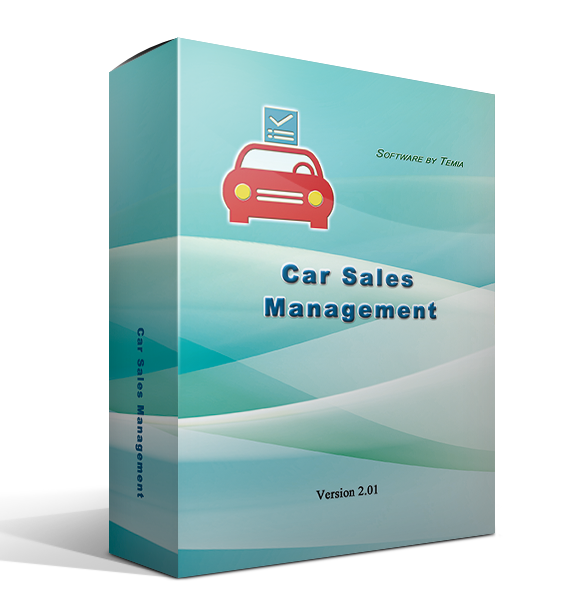 The application allows for detailed accounting of available vehicles. Each car can have the following entries: brand, model, model variant, mileage, power, colour and many others. 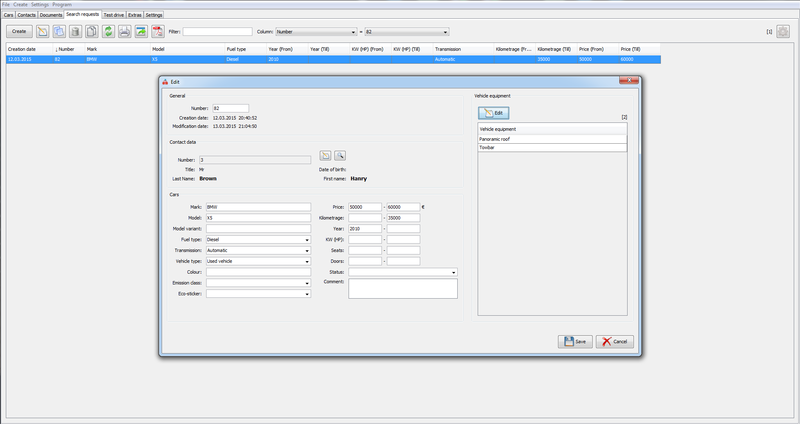 Many of the input fields in the program are designed in the form of lists, so by specifying a new entry once you can select it further on from the list. 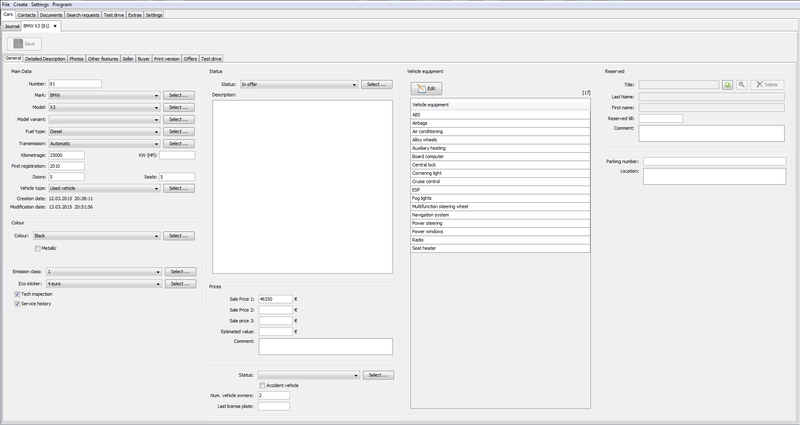 Each vehicle can have its own status, while the list of available values may be set by the user. You can also set several sales prices. You can set each car’s assembly, by specifying the existing components. Each vehicle can have an unlimited number of photos. Each vehicle can have sale and purchase info, detailed information on buyers and sellers, as well as prices and terms of sales contracts. All basic data of the selected vehicle can be printed or saved as PDF. The application allows to book vehicles for prospective buyers for a certain period. The system allows you to keep track of all contact data: sellers, prospective buyers and others. 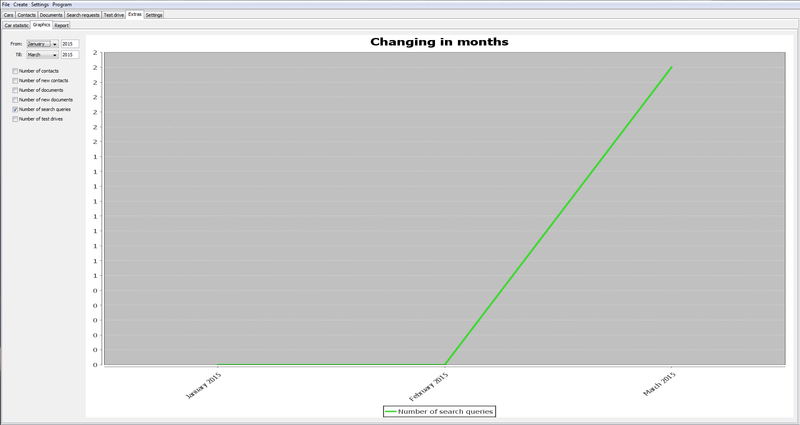 It also supports entering data on client requests and test driving. The application can be controlled through hotkeys that simplify the system function calls and thus the operation of the program. It also includes an option for importing vehicles from CVS. In addition, the program can store documents either by adding them from the disk or by scanning them within the application. 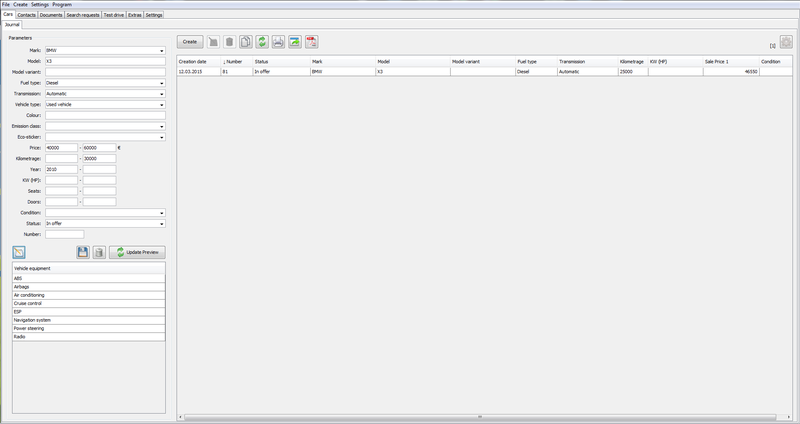 All program catalogues and lists are equipped with quick-search filters. All program lists can be printed, saved as PDF or exported to a text file. The program is user friendly and easy to operate.